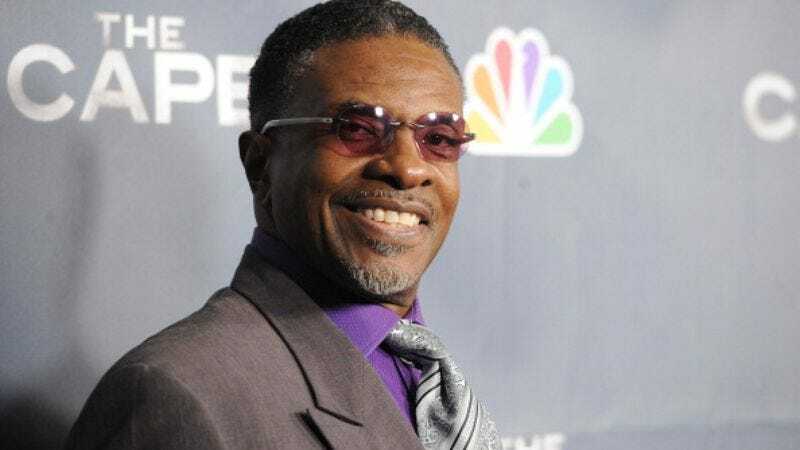 Deadline reports that Keith David (Enlisted, Community, and tons of other things you probably like) has nabbed the lead in Greenleaf, a new scripted series for OWN. David will play Bishop James Greenleaf, the patriarch of an illustrious family and the leader of an unscrupulous megachurch. Lynn Whitfield, who’s recently appeared on How To Get Away With Murder and Mistresses, will play his wife Lady Mae, and Falling Skies’ Desiree Ross will play one of their daughters. Greenleaf was created by Craig Wright (Tyrant, Six Feet Under), who will executive produce along with Oprah Winfrey herself. Wright is also writing the show, which already has an order for 13 episodes.The official series description includes phrases like “a multigenerational matrix of deception” and “beneath its steeple lies a den of iniquity,” so it sounds like a suitable companion to another family-centered drama on OWN, Tyler Perry’s The Have And Have Nots. With Greenleaf, OWN is looking to expand its scripted series lineup beyond its Tyler Perry hour. The cable network is also developing Queen Sugar, an original series from Selma’s Ava DuVernay. DuVernay will write, direct and executive produce the show, which is based on the Natalie Baszile’s eponymous novel. Queen Sugar follows Charley and Micah Bordelon, a mother and daughter who leave their posh Los Angeles digs for a sugar cane farm in Louisiana. Oprah will executive produce as well as star in the show, which will be her first time doing so on her OWN.